May Allah reward such and such man who straightened the curve, cured the disease, abandoned mischief and established the sunnah. He departed (from this world) with untarnished clothes and little shortcomings. He achieved good (of this world) and remained safe from its evils. He offered Allah’s obedience and feared Him as He deserved. He went away and left the people in dividing ways wherein the misled cannot obtain guidance and the guided cannot attain certainty. There is a copy written by ar-Razi Abul Hasan (which) gathered Nahjul Balagha, (where) under so and so (written) Umar. And it was said that under so and so (he) mean Abu Bakr, and it was said that (is about) Umar, and that is more famous. by Allah, I do not know what to say to you. I know nothing which you do not know, nor can I lead you to any matter of which you are not aware. You certainly know what we know, we have not come to know anything before you which we could tell you; nor did we learn anything in secret which we should convey to you. You have seen as we have seen and you have heard as we have heard. You sat in the company of the Prophet of Allah as we did. (Abu Bakr) Ibn Abi Quhafah and (`Umar) ibn al-Khattab were not more close by acting in accordance to truth than you, since you are nearer than both of them to the Prophet of Allah through kinship, and you also hold relationship to him by marriage which they do not hold. This speech contains some major refutations to modern shia faith. I know nothing which you do not know, nor can I lead you to any matter of which you are not aware. You certainly know what we know, we have not come to know anything before you which we could tell you; nor did we learn anything in secret which we should convey to you. These words are great proof for fact that Ali wasn’t more knowledgeable than Uthman! Because he said: I know nothing which you do not know. It is so obvious, that translators of this speech to English have to corrupt it by inserting phrase (in this matter), between I know nothing and which you do not know. 2) From text is also clear that in the view of sayidina Ali, sheykhan were acting in accordance to haq! And they didn’t surpass Uthman in that! Of course shias as usual would claim that this was taqqiyah and etc. But who cares about their words? 4) It’s clear that all those lunatics with turbans on their empty heads, lied and deceived their followers, when they claim that prophet (sallalahu alaihi wa ala alihi wa sallam) didn’t have daughter except Fatima! Because Ali here pointed to marriages of Uthman, which married twice on the daughters of prophet (sallalahu alaihi wa ala alihi wa sallam). And great scholars of Islam considered that this book (Nahjul-balagha) is a brother of Quran, and there is no words better than in it, except of words of Allah and His prophet. Reading Nahj al-Balagha: It is ok? Most of the narrations in this book are not authentically established from Imam Ali (Allah be pleased with him), and it contains many harmful and spurious statements that he certainly did not say. 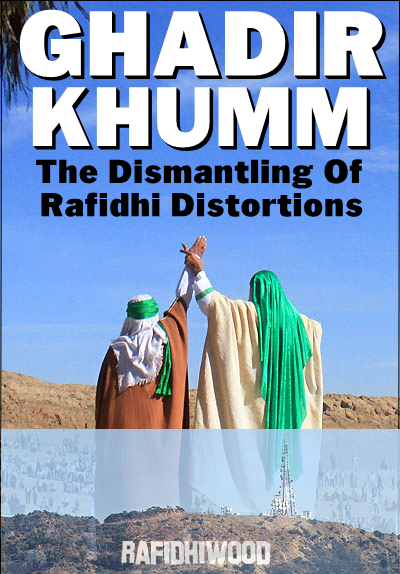 It was put together by a Shiite, without sound chains of narration, and with obvious intent of promoting Shiite claims. Imam Yusuf al-Nabahani (Allah have mercy on him), the great sufi and scholar, strongly warned Sunnis against reading this work. We should never forget the principle that, “Avoiding harm is giving precedence over achieving benefits,” especially when the harm is likely and the benefits doubtful. 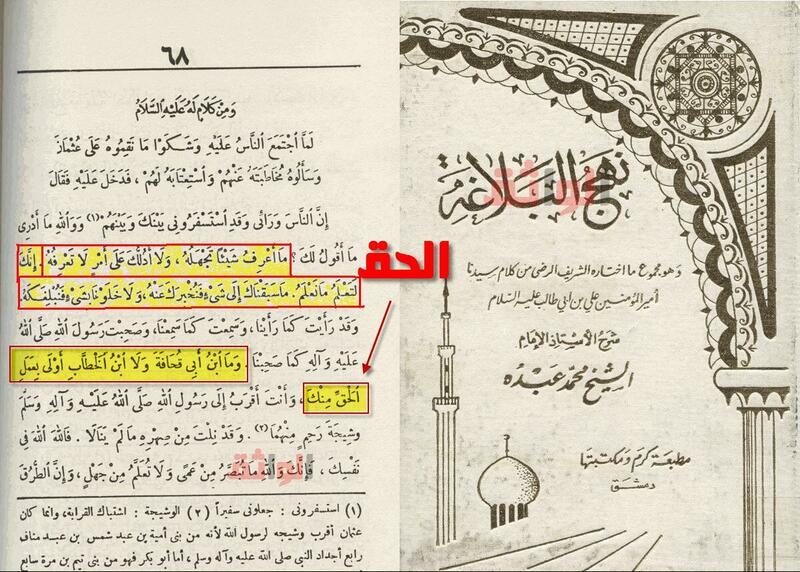 To whom is the book Nahj al-Balaaghah attributed? 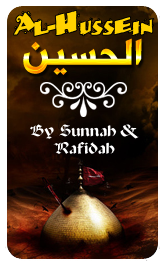 Book “Nahj al-balaaghah” another shia source that often falsely described like a reliable sunni one. 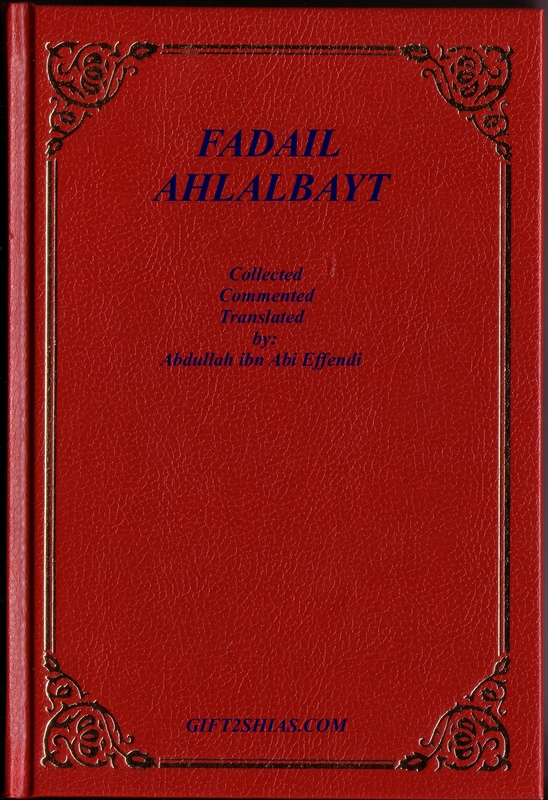 The book Nahj al-Balaaghah is one of the books that are attributed to Ameer al-Mu’mineen ‘Ali ibn Abi Taalib (may Allah be pleased with him), but it contains many things concerning which those who claim to be Muslims have disputed. Following the great scientific principle which was followed by the imams of Islam in obedience to the shar’i command to verify reports, we have no choice but to refer to the scholars and specialists to check on the veracity of the things that are attributed to ‘Ali (may Allaah be pleased with him), because what is narrated from the Sahaabah (may Allaah be pleased with them) has an effect on sharee’ah, especially in the case of someone like Ameer al-Mu’mineen ‘Ali (may Allaah be pleased with him), concerning whom some people have exaggerated or fallen short, but Allaah guided the Ahl al-Sunnah to follow a middle course. Imaam al-Dhahabi (may Allaah be pleased with him) said in his biography of al-Murtada ‘Ali ibn Husayn ibn Moosa al-Moosawi (d. 436 AH): I said, he was the compiler of the book Nahj al-Balaaghah which is attributed to Imam ‘Ali (may Allaah be pleased with him), but the reports contained therein have are no isnaads. Some of it is false and some of it is true, but it contains some frabricated reports of things that the Imam would never have said. But who is the fair-minded man who would look at it in an objective manner?! 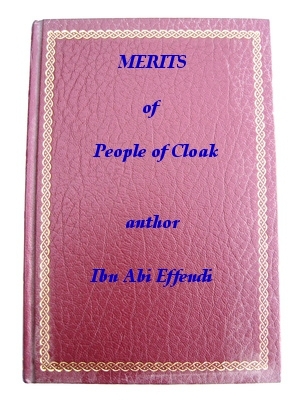 It was said that it was compiled by his brother Shareef al-Radiy. It includes slander against the companions of the Messenger of Allaah (peace and blessings of Allaah be upon him); we seek refuge with Allaah from knowledge that is of no benefit. Shaykh al-Islam Ibn Taymiyah (may Allaah have mercy on him) said: “Most of the khutab (sermons) that the author of Nahj al-Balaaghah includes in his book are lies against ‘Ali. ‘Ali (may Allaah be pleased with him) is too noble and too worthy to have uttered such words. But these people fabricated lies and thought that they were praise, but they are neither truth nor praise. Whoever says that the words of ‘Ali or any other human being are above the words of any other created being is mistaken, for the words of the Prophet (peace and blessings of Allaah be upon him) are above his words, and both of them are created beings. Moreover the correct meanings that are to be found in the words of ‘Ali are to be found in the words of others, but the author of Nahj al-Balaaghah and his ilk took many of the things that people say and made them the words of ‘Ali. There are some words narrated from ‘Ali that he did say, and some of them are true words that would have been befitting for him to say, but in fact they are the words of others. Hence in Kalaam al-Bayaan wa’l-Tabyeen by al-Haafiz and in other books there are words narrated from people other than ‘Ali and the author of Nahj al-Balaaghah attributed them to ‘Ali. If these sermons which were transmitted in Nahj al-Balaaghah were really spoken by ‘Ali, they would have been found in other books that existed before this book was written, and they would have been narrated from ‘Ali with isnaads and otherwise. It is known from those who are well versed in the study of narrations that many of them (these sermons) – indeed most of them – were unknown before this, therefore it may be concluded that they are fabrications. So the narrator should state in which book they are mentioned, who narrated it from ‘Ali, and what its isnaad is. Otherwise, anybody could say something and claim that it was said by ‘Ali. Those who are well-versed in the knowledge of the hadeeth scholars and of reports and isnaads and are able to tell what is sound and what is not sound would know that these people who transmitted reports from ‘Ali are the least likely people to know about reports and be able to distinguish the sound from the unsound. 1. There are seven generations of narrators between ‘Ali (may Allaah be pleased with him) and the author of this book, and he did not mention any name whatsoever. Hence we cannot accept his words without an isnaad. 2. If these narrators are mentioned, it is essential to research about them and find out whether they are trustworthy. 3. The fact that most of these sermons did not exist before this book was written indicates that they were fabricated. 4. 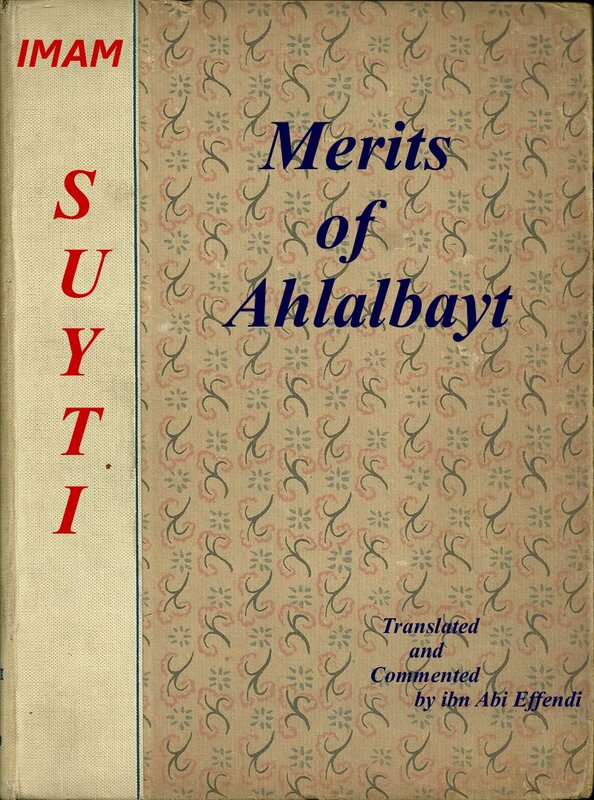 Al-Murtada – the author of the book – was not one of the scholars of reports, rather he was one of those whose religious commitment and competence were debatable. 5. The slander that it contains against the leading Sahaabah is sufficient to count it as false. 6. The insults and slander that it contains are not the characteristics of the believers, let alone their leaders such as ‘Ali (may Allaah be pleased with him). 7. It contains contradictions and clumsy expressions from which it may be known for certain that it was not produced by one who was prominent in eloquence and fluency. 8. The fact that the Raafidah accept it and are certain that it is as true as the Qur’aan, despite all these objections, indicates that they do not pay attention to verifying sources and ensuring that they are sound with regard to the matters of their religion. Based on the above, it is clear that this book cannot be attributed to ‘Ali (may Allaah be pleased with him), therefore nothing in it can be used as evidence in matters of sharee’ah, no matter what the issue is. But whoever reads it in order to find out what it contains of eloquence, the ruling is the same as that on all other books on Arabic language, without attributing its contents to Ameer al-Mu’mineen ‘Ali (may Allaah be pleased with him).